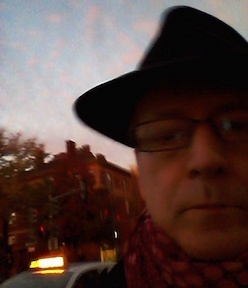 A few weeks ago, an Irish cultural organization in Washington DC set up a table near my Metro stop (at the office end of my commute) and gave away books by Irish writers all day. 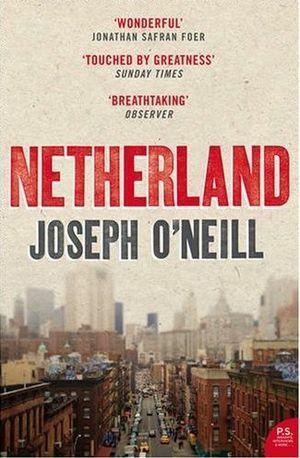 I looked over the offerings on their table a couple of times during the day, and finally carried away a copy of Joseph O'Neill's Netherland, a 2008 novel about New York after 2001 but also about marriage, separation, childhood, and despair. But it's also, as the blurb on the back of the book says, "a paen to cricket and a murder mystery," according to the Sunday Telegraph. So it's at least partly a crime novel, and as book by an Irish writer about a Dutchman (Hans van den Broek) who emigrates first to London and then to New York where he becomes involved with a Trinidadian gangster and cricket promoter, the story is sufficiently "international" to qualify for this blog, and since it begins with the discovery of that Trinidadian gangster's body in the river (two years after his disappearance), it's also a crime story. But Netherland is primarily about van den Broek's descent into a tepid middle-class version of hell. New York is vividly evoked (and the writing is poetic and suggestive and frequently funny), but the city is metaphorically a post-apocalpytic backdrop for Hans to experience the despair and dislocation of being abandoned by his wife. 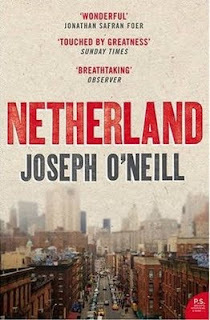 But what primarily marks the difference between Netherland and crime fiction is that once the Chuck-the-Trinidadian's murder is evoked as the foundation of the story, Hans, as the first-person narrator, spends the rest of the book telling how he, Hans, reaches the point of hearing about Chuck's death, rather than how Chuck got there (or why). The criminality of Chuck's life or his death are only part of Hans's trip down and out (out of his apartment in lower Manhattan when the area is evacuated after 9/11, out of marriage and a comfortable life, out of contact with his young son, out of the upper-middle-class and into a netherworld of the denizens of the Chelsea hotel (a transvestite Turkish angel among them) and the petty criminals of Brooklyn. Hans becomes drawn into a support system based around his childhood sport, cricket, which is played in New York mostly by Carribean and South Asian immigrants on inadequate grounds with no audience. Hans is a very personable and likable tourguide for this world and for his own life's journey, but the narrowness of the focus on Hans gets to be a bit claustrophobic. That perhaps is the difference between the common literary novel and the average crime novel. I'd have liked to hear something about what Chuck was actually up to, who some of the characters that surround him actually are, and what Chuck's own family life is all about (all of which are only suggested). Not that I'm putting a value judgment on it: I am myself, though, drawn more to the expansive view of crime and the city rather than the use of bath simply to illuminate the corners of the narrator's psyche. This has been near the top of my TBR pile forever.